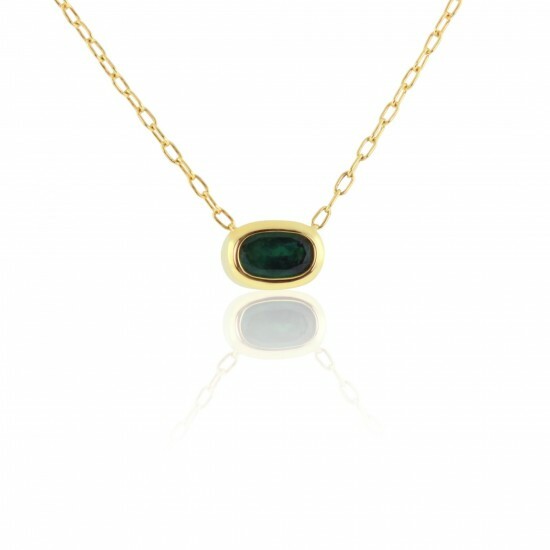 This rare Colombian emerald pendant necklace combines timeless elegance with modern sophistication. The 1.12 oval cut natural emerald is secured in a sturdy 18K bezel setting to ensure that your emerald will not be easily scratched, damaged or prone to fall out. The deep green emerald is attached to an 18K cable chain. This stunning minimalist pendant necklace is perfect for the woman with an active lifestyle or one who prefers a simple pendant necklace. Gold weight: 3.92 grams.